Would be very nice to be able to run ABRP in Android Auto. However it would require ABRP to be an app, or? Absolutely! This is on our wish list too. We would definitely have to have an app to use Android Auto, although there is a way if your phone is rooted. It's possible to mirror any app on your phone (including the browser) to Android Auto. Longer term, we are looking at building an app. 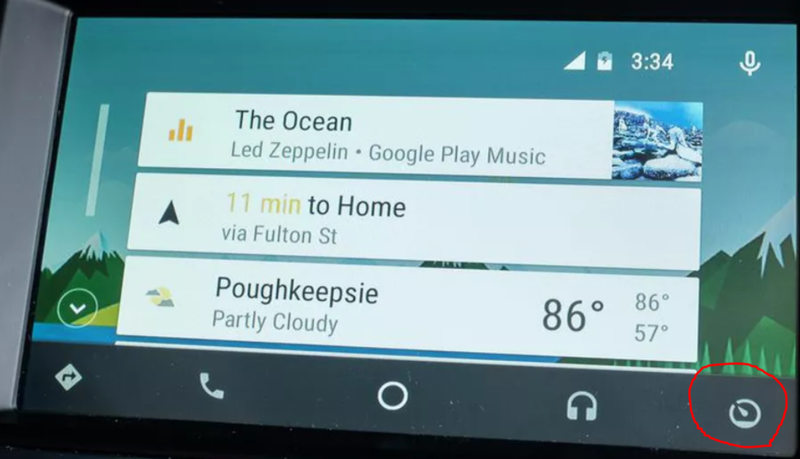 What would you want the Android Auto features to be? Would you want to leave navigation up to Google Maps / Waze, and have us just provide statuses (and charts / replanning if your battery gets too low)? Of course full turn by turn navigation is much harder to implement well. As the Leaf range estimator is so bad I am thinking that it would be very valuable to have ABRP on the car screen. The most important would be a good estimation of remaning range and estimation of SOC at arrival when navigating to a destination. However the ideal would of course be to have the ABRP features togheter with good turn by turn navigation. If that is best done completely within the ABRP or by using Google Maps or Waze and ABRP data overlayed you probably know best. I amazed for each new release of how good and smart features you add.  Plans - List out all the plans you have saved on the site, or create a new one. To keep this simple, we only offer one destination at a time for in-car plans. Half of this screen is a simple map that shows you a map of the selected plan. You can switch between plans, and click a "Navigate" button to start navigating. The "Navigate" button changes to the Graph view and launches your navigation of choice. Details - Shows you efficiency details, current step of the plan, next stop length, etc. You spend most of your time with ABRP in the background, following your plan. If ABRP determines you need to drive slower, or it has to replan to a new charger, it would provide you with a "toast" popup, and perhaps a voice prompt. The main reason that I don't want to do full-on navigation is that Google Maps / Waze / Apple Maps (yes, even Apple Maps) are way better than anything we could cobble together for turn-by-turn navigation. For the beginning I would love to have the ABRP Website on my car screen. I have to stop, unplug the usb cable and enter the website now, if I want to change anything. Would love to do that right on the carscreen. Makes a lot of sense to focus on the parts contributing value to the electric car user instead of making a new turn-turn navigation. Your vision above seems very good. One thing though to have on the navigation screen if possible to solve with some kind of overlayed data would be to have the "Estimated SOC at destination" always visible. We made a road trip on Europe (Sweden-Spain 5900 km) last year in a Tesla Model S and what I appreciated most was to always see the reliable estimation of SOC at destination. Usually we planned the next leg of the trip while charging and set the next super charger as destination. To have a good estimation of SOC at destination was extremely helpful while driving and always made us feel safe. If the estimation started to become to low it was just to decrease the speed and wait for the number to stabilize on a higher number, and the same if the margin was "unnecessary" large then the speed could be increased a little. Android Auto support would be great and I agree. Concentrating on EV specific features is more important than turn by turn navigation. BTW: You can deactivate these strange blue arrows during real time navigation. I rooted my spare Galaxy S7 to use the phone browser with ABRP and Android Mirror in my Renault Zoe. 1. The buttons on the right site are only shown up to night mode. Zoom buttons disappears at the top. The design is made for portrait 17" not for landscape 7" screens. 2. If you are in real time navigation and the graph is shown and you switch than to maps or the music app within Android Auto and you go back to AA Mirror and your browser with ABRP, the browser reloads the page and the planning including the graph is gone. You have to press the button "plan route" again. But if you leave AA mirror again and come back to it, its gone again. I don't know if it's a page reload of the android browser (tried, Adblock Browser, Chrome and dolphin), or if its a AA Mirror problem, that it always starts with homescreen and you always have to re-enter the browser again, or if it's a Android Auto problem, where the phone have a problem with doing Android Auto and the normal UI at the same time. A solution for non Teslas with Android Auto is definitely needed. Thanks for the great feedback, we're actually working on a "no-map" mode that should help with some of the display issues you mentioned. The idea being you use Google Maps on your main display (Or in-car Nav, or whatever you like), and then you have your phone as a secondary display showing the follow-up data. Unfortunately, Android Auto will probably be a while coming, there isn't a public/easy way for us to get a non-music or non-messaging app into Android Auto. Definitely something we're thinking about how to do, but may not be feasible in the near future. Nice, looking forward to test the no-map mode! Yes, maybe a simpler second screen app will do it also. Possibly with a kind of voice feedback. "You are over/under the estimation.......". But be aware. If we run this second screen app on the same smartphone as you use with AA, you will also loose focus, when activating screen on the phone. You than always have to open the app (browser) with maybe the reload problem and it distracts you from driving. Idea: Could you "hide" the second screen app as massaging app for AA? We would get a message popup with the proper information in it and you even don't have to leave Google maps for that. 3. ABRP with voice feedback in the background and short before reaching the next charger a message with "please charge to X%. ﻿﻿ Idea: Could you "hide" the second screen app as massaging app for AA? We would get a message popup with the proper information in it and you even don't have to leave Google maps for that. With No Map it works quite well as a second screen, including giving the max speed if needed, and offering a replan if you're consuming battery more than planned (or less than planned). Of course, for the moment, with No Map right now there's another step: Note all the bugs for me to fix before releasing. I expect sometime after the new year we'll have it polished enough to release. We've also considered the voice feedback, but that's harder to do given how most mobile browsers handle webpages in the background. That may have to wait until we build an app. Why does the to-do list never shrink? The ideal implementation would be the No-Map mode with audible alerts on Android Auto in a native app, but that will take some doing. (Including me learning a whole new programming language). Sorry, I didn't get the point. There is already a No Map Mode we can test? Should we also use the "module"? Where to get? The no-sleep module should already be live on the website, it seems to work quite well for me (LG Android Phone), but Bo has said he's had issues with it, so YMMV. The No-Map mode is coming soon, still have a number of bugs to fix and views to polish, probably in a week or two will be released. Noop, no-sleep module doesn't work on my S7. When the mobile is going to sleep I have to press on/off, than swipe to unlock lock screen (I could disable this), but than I see the black Android Auto unlock screen and if I unlock that I see my App folder structure. I have to go to the task manager and have to reactivate the browser. Looking forward to test No-Map mode.